This scene might conjure up Ned Stark vibes, but Matt Groening promises Disenchantment is avoiding parody. The Simpsons creator Matt Groening is delving into the realm of myths and monsters with his new Netflix series, Disenchantment. While it might be tempting to do what he did with the Futurama fantasy parody Bender’s Game, and make it a nonstop string of references, Groening said this new series will be a world all its own. 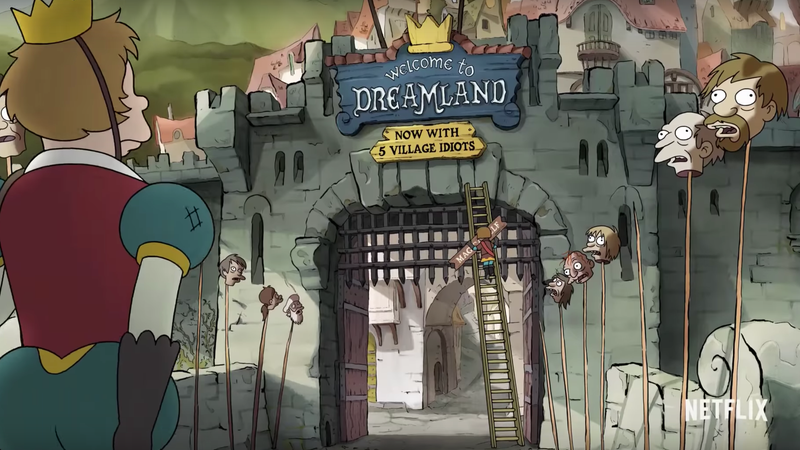 In an interview with The Hollywood Reporter, Groening promised that Disenchantment would not focus on parodying other fantasy works like Lord of the Rings or Game of Thrones, saying the emphasis is instead being placed on building the show’s country of Dreamland as its own unique place. “We wanted the world of Dreamland to resonate and be real. We found the best way to tell an arc was to plot it dramatically and add jokes,” he said. This matches what Groening’s other genre series Futurama did, for the most part. The series did reference other sci-fi works, like that Valentine’s Day episode centered around 2001: A Space Odyssey, but the focus was on creating a New New York that was all its own. Of course, that didn’t stop them from going into full Lord of the Rings spoof with the movie special Bender’s Game, but that felt more like an exception that proved the rule. Disenchantment premieres August 17 on Netflix.